About the award: The Willie Morris Award, sponsored by Reba and Dave Williams, comes with a $10,000 cash prize and an all-expense paid trip for the winner to New York City for the Oct. 22 reception and ceremony. Drum roll! The winner will be announced and honored at the October reception and ceremony. I plan to include an interview of her, here. Full disclosure: I’m a previous winner and judge. It’s amazing to see how this award is expanding and celebrating southern novels and writers. A little more: The annual award is given to a writer whose work is set in the South, exemplifies the tenets of Southern literature—quality of prose, originality, and authenticity of setting and characters—and reflects, in the words of its namesake, Willie Morris, “hope for belonging, for belief in a people’s better nature, for steadfastness against all that is hollow or crass or rootless or destructive.” This year’s reception and award ceremony will include a special panel on the life and writings of Pat Conroy and a major announcement about an expansion of the Willie Morris Award. 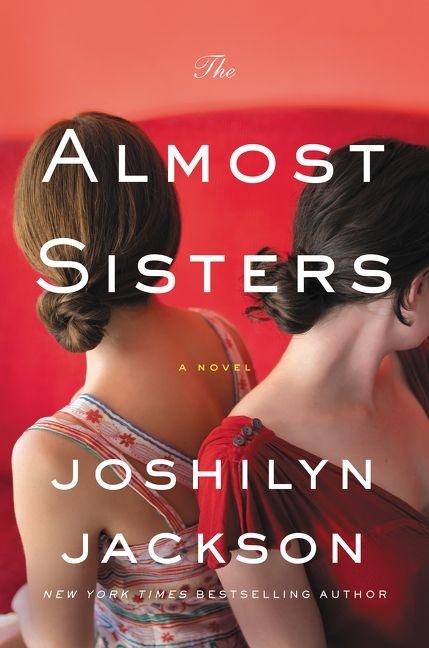 Joshilyn Jackson is the New York Times bestselling author of eight novels and a novella. Her books have been translated into a dozen languages, won SIBA’s novel of the year, three times been a #1 Book Sense Pick, twice won Georgia Author of the Year, and three times been shortlisted for the Townsend prize. She lives in Decatur, Georgia, with her husband and their two children. THE ALMOST SISTERS: A graphic novelist’s hook-up with a masked hero at a comic convention results in a pregnancy in this “powerful, emotionally resonant novel of the South.” This novel confronts the truth about privilege, family, and the distinctions between perception and reality—the stories we tell ourselves about our origins and who we really are. Bren McClain was born and raised in Anderson, South Carolina. She is a two-time winner of the South Carolina Fiction Project and the recipient of the 2005 Fiction Fellowship by the South Carolina Arts Commission. 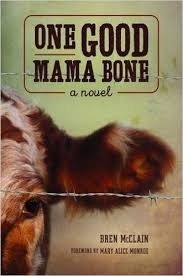 McClain won the 2016 William Faulkner Williams Wisdom Novel-in-Progress for Took and was a finalist in the 2012 Pirate’s Alley Faulkner Award for Novel-in-Progress for One Good Mama Bone. J.C. Sasser was born and raised in Metter, Georgia. She is the award-winning author of Gradle Bird and a contributor to Town Magazine and the forthcoming anthology, Gather at the River: Twenty-five Authors on Fishing edited by David Joy and Eric Rickstad. She lives on Edisto Island, SC [Note: this is one of my favorite places on earth] with her family. Stephanie Powell Watts was born in the foothills of North Carolina. Her debut novel, No One Is Coming to Save Us, won the NAACP Image Award for Outstanding Literary Work. With a PhD from the University of Missouri and a BA from the University of North Carolina at Charlotte, she lives with her husband and son in Pennsylvania where she is an associate professor at Lehigh University. 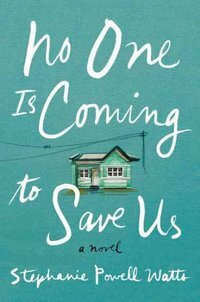 NO ONE IS COMINGTO SAVE US, set in North Carolina, is a revelatory debut from an insightful voice; with echoes of The Great Gatsby it is an arresting and powerful novel about an extended African American family and their colliding visions of the American Dream.